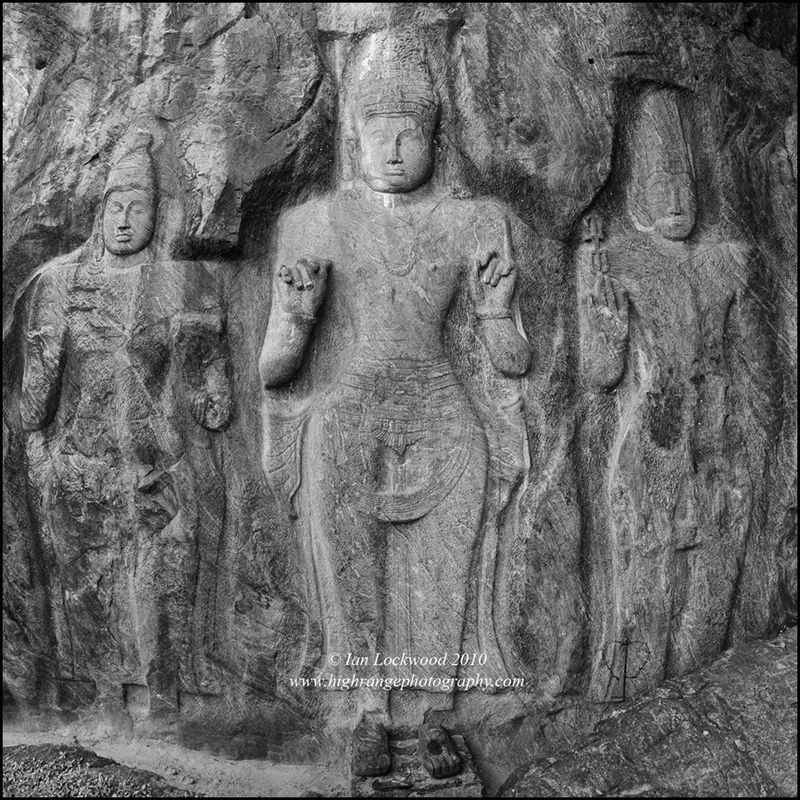 The 10th Century granite relief of Vajrapani at Buduruwagala near Wellawaya are a striking mix of craftsmanship and natural serenity with shades of Pallava inspiration. Last year, on a long and patient drive to visit friends on the East Coast, we discovered that some of Sri Lanka’s most serene and stunning archeological ruins are far from the Cultural Triangle in a land reclaimed by the forest. Man soaking in a pool below Diyaluma Falls. 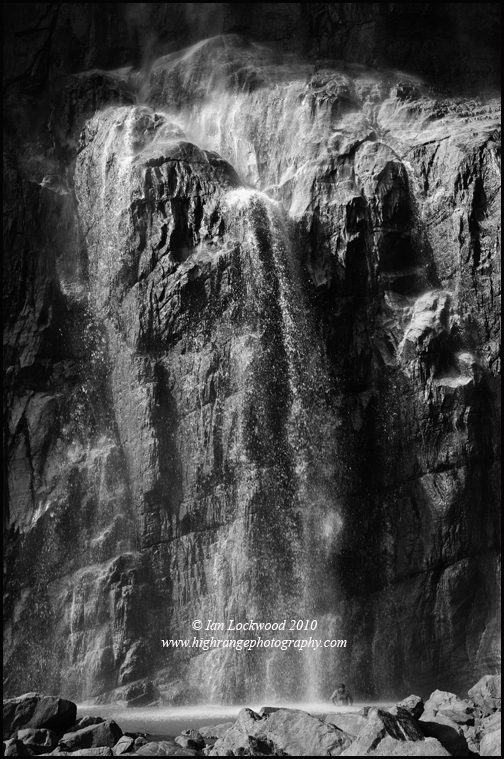 This impressive waterfalls draining out of the Central Highlands is the 2nd highest in Sri Lanka. It is a popular rest for travelers from Colombo traversing the long road to the East Coast. Mudu Maha Vihara, downtown Pottuvil by the beach. This shrine marks one of two landing points of the legendary Queen Maha Devi. Panorama at Maligawila Abhaya Mudra. 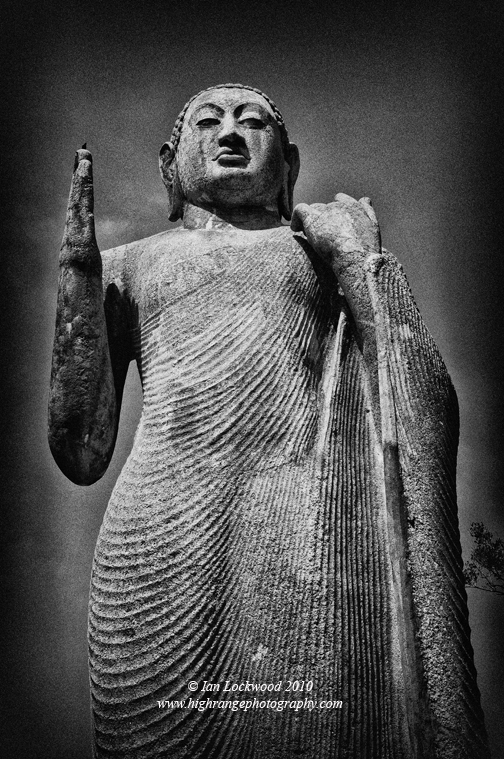 Saxicoloides fulicata singing on the hand of Buddha at Maligawila Abhaya Mudra.